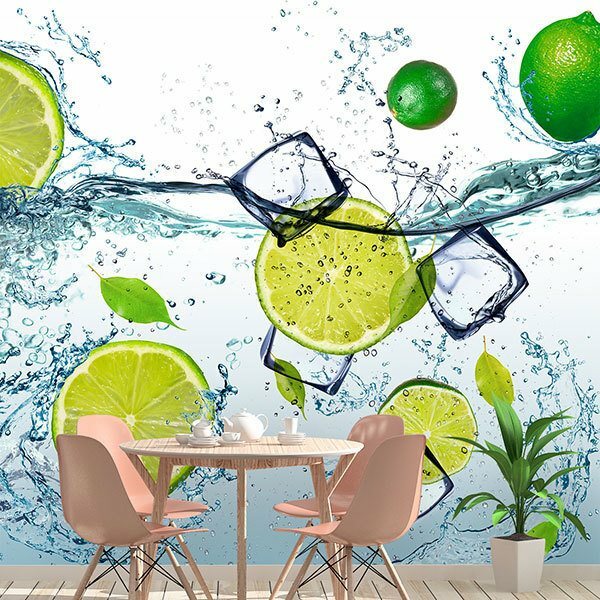 Wall mural Limes splashing in water. 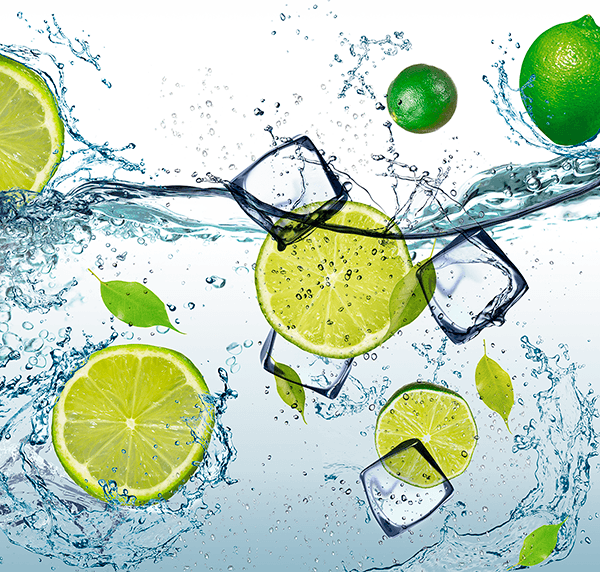 Fantastic image of several leaves, ice cubes and slices of lime falling into a container of water. 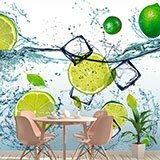 Excellent photography that will fill with freshness the wall where you place this image. 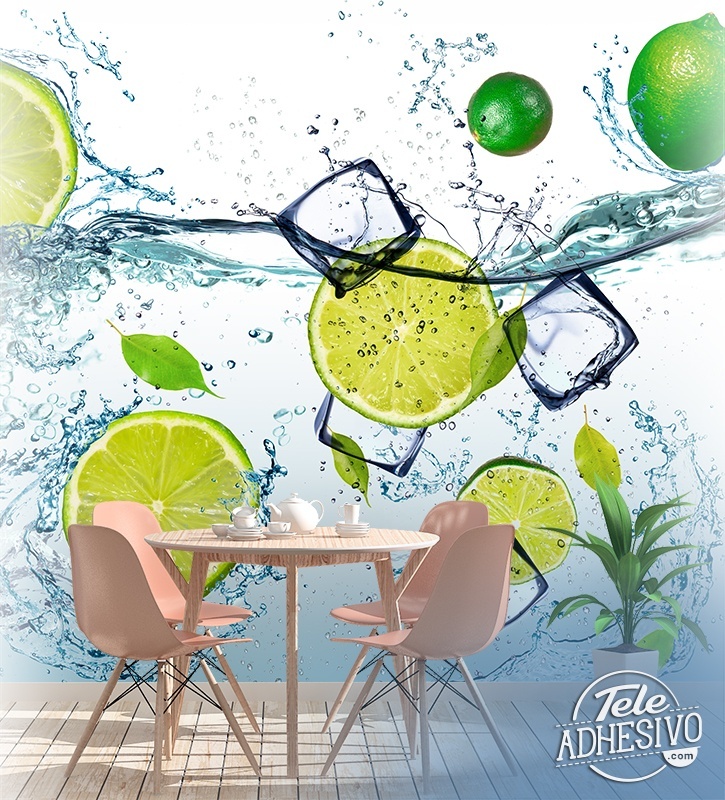 Ideal for decorating a kitchen wall, a restaurant or any other business. Size: 37 x 37 cm.